* If you use Gmail, K-9 Mail or AquaMail, you can obtain the number of unread messages of each account individually. In the case of Gmail, you can also select which label to monitor. 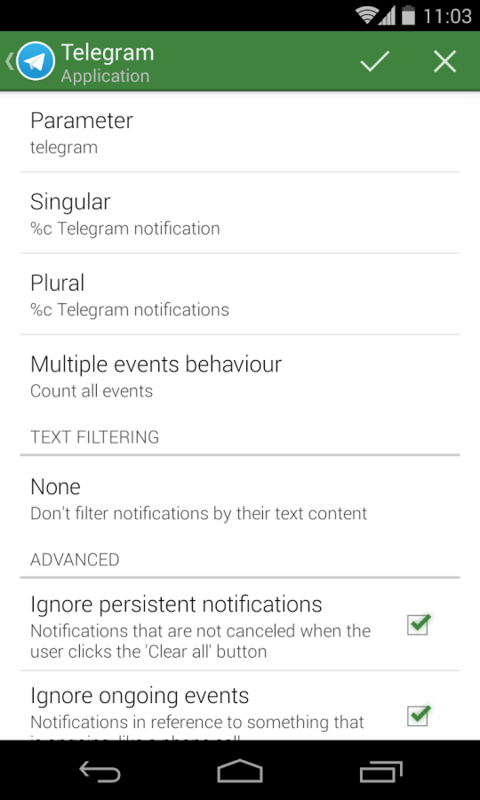 * Also reports notifications from any application that uses the notification bar to report events (including WhatsApp, Twitter, e-mail clients, etc). * Share pending notifications with other apps through the “Shared Elements” list. For example, you can use Missed It! as a provider for the Unread Counts feature on both WidgetLocker and Nova Launcher Prime apps. * Resizable widget on Android 4.0. With previous Android versions, there are multiple widget sizes available (user can select which sizes appears in widget list). * DashClock extension included, allows to receive generic application notifications on your DashClock widget. Enabling Missed It! 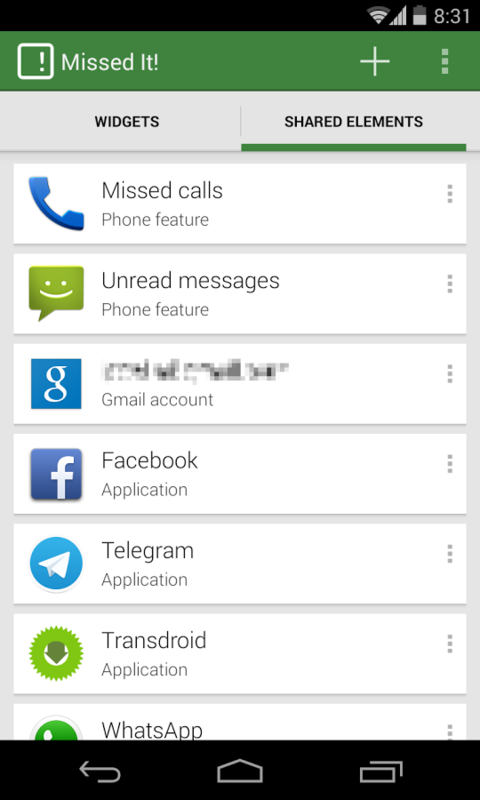 or any other third-party application in Accessibility Services in some Samsung models (Galaxy S3, S4, Note) with TouchWiz launcher will cause some undesired effects. The easiest way to avoid them is to use another launcher (there are very good ones at Google Play for free). Or you can try the following fix: Before enabling Missed It!,disable both Google and Samsung Text-to-Speech to avoid your phone start providing voice notifications of all user actions: Go to System Settings -> Manage Applications -> All, search for both Samsung TTS and Google Text-To-Speech and tap on ‘Disable’ button. WAKE_LOCK, to wake up the device on upcoming notifications. NETWORK, for reports about application usage and crashes. Warning: Beta versions are only for testing purpouses, as they surely contain lot of bugs. Use them to give feedback on new features and bug fixes.